Vitamins and minerals make up a small part of your horse’s diet, but they are essential to his overall health. These organic compounds support normal metabolism, maintain muscle function and help with many other essential functions that a healthy horse needs. Vitamins and minerals also need to be present in the correct amounts, and in some cases, in balance with other vitamins or minerals. Too much of any vitamin can be detrimental to your horse’s health. Vitamins are grouped depending on how they are absorbed, stored and excreted by the body: fat-soluble or water-soluble. Fat-soluble vitamins – A, D, E and K – are stored in the body, while water-soluble – B-complex and Vitamin C – are not. The difference is important! While an overabundance of water-soluble vitamins simply gets excreted in the urine, an excess of fat-soluble vitamins gets stored in your horse’s fat and can build up toxicities. Vitamin A is closely connected to its precursor, beta-carotene. Vitamin A is important for vision, the maintenance of epithelial (skin) cells and healthy mucous membranes. Reproductive difficulties can occur if Vitamin A is low, so be aware if you’re planning to breed your mare. 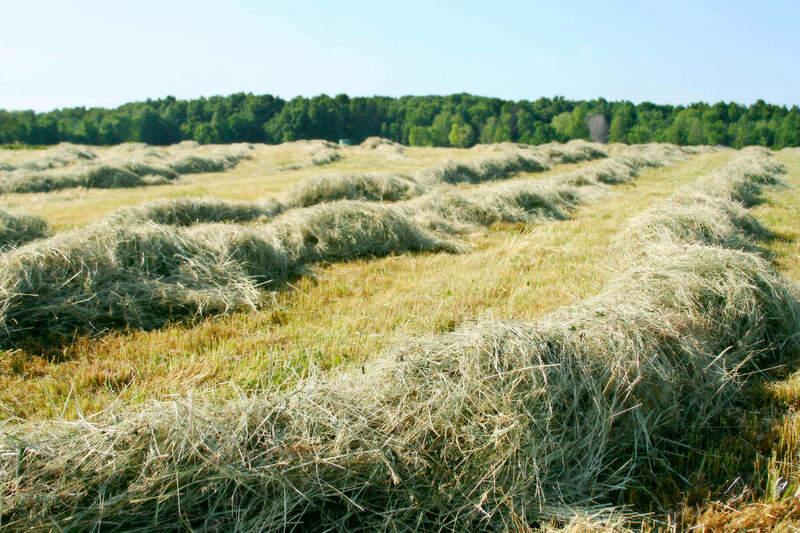 The precursor for Vitamin A, beta-carotene, is present in green forage such as fresh grass or freshly cut hay. Vitamin A levels in hay decrease over time during storage. Due to this drop, some horses may benefit from Vitamin A supplementation in the winter; however, horses store Vitamin A in their livers, so most of them won’t need the supplement as long as they eat some grass or good-quality green hay. The B vitamins are a group of related vitamins that are important for regulating the metabolism. You may have heard of them referred to as B-complex vitamins, biotin, thiamine or riboflavin. Lack of any one of the B vitamins may result in decreased feed intake which ultimately affects performance, weight management and overall efficiencies. B vitamins are synthesized by bacteria in your horse’s hindgut; however, body storage is generally poor. Supplemental B vitamins may be beneficial for young, old, debilitated or hard-working horses, as these types of horses may have a decreased population of bacteria in their hindgut. Since B vitamins are water-soluble, chances of toxicity are unlikely. Some horses may benefit from added biotin, such as Shur Hoof™ supplement, for hoof health. Biotin is a sulfur-containing B-vitamin that contributes to proper metabolic activity, but also provides sulfur for proper keratin formulation of the hoof wall. Many horsemen also believe that B vitamins can have a calming effect and may be useful when working with young or excitable horses. Vitamin C is an antioxidant that helps protect against free radical damage to keep cells healthy and young. It’s also important for collagen health which helps maintain cartilage and connective tissue, and works together with Vitamins D and E for some functions. The Vitamin C needs of most horses are generally covered with the production of glucose in the liver, so dietary supplementation is not needed under normal circumstances. Vitamin D, the “sunshine vitamin,” is generated in the horse’s skin from ultraviolet rays from the sun. Vitamin D is an important vitamin in its own right, but also works in conjunction with calcium and phosphorous to keep your horse’s bones and joints healthy. Vitamin D, calcium and phosphorous must be present in certain ratios for maximal function, depending on the age of the horse. Vitamin D is also present in hay, although the amount will decrease over time. Horses will get all of their required Vitamin D if they get daily exposure to sunlight for at least six hours. An occasional missed day is acceptable; however, if your horse is stabled and not allowed access to sunlight for a long period of time, you may need to supplement Vitamin D. Always check with a nutritionist or veterinarian before doing so, as Vitamin D can be toxic in large amounts. Vitamin E is a multipurpose vitamin that can work alone as an antioxidant to help maintain normal DNA, support a healthy immune system, or with a partner to achieve the best combined effects. Together with selenium, it is important for muscles and helps protect against oxidative stress. Like Vitamin A, horses must get Vitamin E from their diets. High quality, green pasture and alfalfa hay are good sources of Vitamin E. Horses who have a high-fat diet may need some extra Vitamin E to help with the additional free radicals. Horses that have some muscle conditions may also benefit from added Vitamin E.
Vitamin K has many minor roles in your horse’s health, but is best known for helping with blood-clotting pathways. This is another vitamin that your horse’s hardworking gut bacteria produce, in addition to being found in good quality hay. The amount of Vitamin K received from the combination of your horse’s gut and forages should be sufficient under most circumstances. Horses may require management with Vitamin K if their gut flora becomes compromised; for example horses with loose manure or who undergo abdominal surgery. Although Vitamin K is fat-soluble, the body does not store a large amount and toxicity is uncommon. Minerals are another small, but mighty, part of your horse’s diet. They are inorganic particles (having no carbon) that are important for many cell functions, muscle and bone development, and interactions with certain vitamins. Some minerals not only need to be present in set amounts, but also in certain ratios with other minerals or vitamins for efficient function and to avoid toxicity. There are two groups of minerals: macro and micro (or trace) minerals. Macro minerals (calcium, chlorine, magnesium, phosphorus, potassium, sodium and sulfur) are needed in larger quantities and trace minerals (cobalt, copper, iodine, iron, manganese, selenium and zinc) are needed in smaller amounts. Salt is a well-known important part of your horse’s diet. Salt is comprised of two minerals: sodium and chloride. These minerals are important for cell function; they are the most important of the minerals referred to as electrolytes and are lost when your horse sweats. 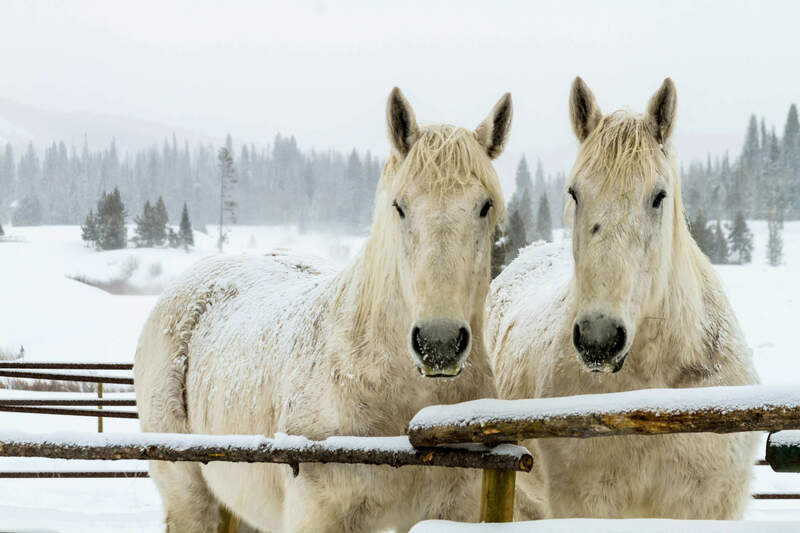 Sodium and chloride are added to most grain rations; however, your horse should have access to free-choice salt at all times, whether from a salt/mineral block or loose salt granules in grain. Potassium is important for nerve and muscle function, including the heart muscle. It’s the other mineral considered an electrolyte and gets depleted with excessive sweating due to exercise. Horses without adequate levels of potassium can be prone to fatigue, muscle weakness and exercise intolerance. Horses with certain muscle conditions are sensitive to potassium levels, so its presence in their diet must be closely monitored. Potassium is found in forage, especially good quality hay, but can also be supplemented via daily electrolytes, such as Apple-Dex™ or Electro Dex™ products. Zinc supports enzyme functions, immune response and wound healing, and is generally found in hay, grass and most other feeds your horse consumes. However, the absorption levels can vary, as zinc, copper and iron all interfere with each other, and block absorption. It’s usually better to give your horse a complete mineral supplement rather than picking and choosing his added minerals. Copper is very important for the hemoglobin molecules in blood. Hemoglobin, the iron-containing protein in red blood cells, is responsible for transporting oxygen from the lungs to every cell in the body. A good source of copper is the molasses in your horse’s grain ration; however, a vitamin-iron-mineral supplement like Red Cell® liquid can provide a source of copper as well. Selenium is a mineral that works with Vitamin E to support muscle and nerve functions, and help protect against free radical damage from oxidative stress. Selenium is a mineral that is only needed in miniscule amounts, so the line between necessary and toxic is thin in this case. Selenium is present in the soil of many areas of the US, but others are selenium-deficient, such as eastern coastal areas, around the Great Lakes and in parts of the Pacific Northwest. The forage from those areas can be low in selenium, so horses may require additional selenium in their diet. Again, this is not something you should do on your own; excess selenium can cause critical results in your horse, even death. Check your grain ration and mineral blocks to see if they contain selenium and consult a nutritionist or veterinarian before adding more. Magnesium is a mineral that is integral for the skeletal structure and bone maintenance, helps with muscle and nerve contractions, and is thought to be a calming agent. This mineral is generally present in adequate amounts in both hay and grain rations, so magnesium deficiencies and toxicities are both rare. Calcium and phosphorus is perhaps the best-known “mineral team” because they’re hard to mention without the other. Together, they work to provide your horse with healthy bones. Horses need both minerals, especially while growing and during late gestation and lactation, and it’s critical that they’re in the correct ratio. Feeding too much phosphorous can bind calcium and prevent absorption. A calcium-phosphorous ratio of about 1.5:1 to 2:1 is generally recommended. Different feeds contain different levels of calcium and phosphorous, so it’s important to understand what you’re feeding your horse. Alfalfa, in any form, is known for high levels of calcium. It’s hard for horses who consume alfalfa to not get their required dietary amount of calcium. Bran, on the other hand, tends to be high in and a great source of phosphorus. Talk to your veterinarian or a nutritionist if you suspect your horse may have an unbalanced calcium-phosphorous ratio, as a balanced ratio is crucial for keeping these two minerals in sync. Providing a balanced vitamin/mineral diet for your horse is important to his overall wellbeing. Most of his dietary needs can be met by feeding him good quality hay; however, there are a number of situations in which a horse can benefit from a vitamin and/or mineral supplement. If your horse is recovering from a health issue or surgery (especially if the digestive tract is involved), pregnant or in hard training, you should talk to your veterinarian or nutritionist about possible supplementation. Apple-Dex, Electro Dex, Shur Hoof and Red Cell are trademarks of Farnam Companies, Inc.